The Mercedes-Benz C-Class is a timeless and comfortable option for Westlake drivers. Enjoy luxury features, sleek design, and plenty of options to choose from thanks to the selection of C-Class configurations. Edmunds also praises the C-Class for its "impeccably built interior, high-quality materials inside and out, upgrading and customizing options galore, and a variety of engine choices." 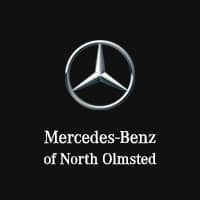 Why Choose a C-Class from Mercedes-Benz of North Olmsted? Once you've browsed our C-Class inventory online, contact us to schedule a test drive! You can also browse our selection of national offers & incentives to find the best possible price on the C-Class model you choose. Stop by our showroom to experience the C-Class in person today and learn how it compares to competitors like the BMW 3-Series.